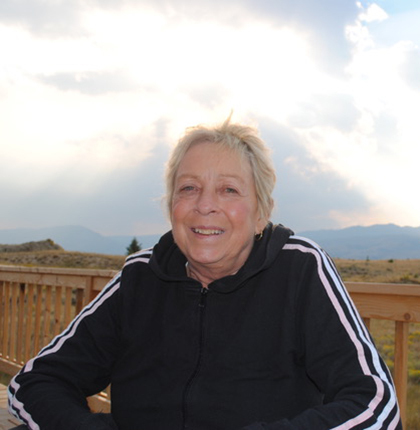 Christine “Chrissy” Lynn Schoeppe, age 65, of Maricopa, Arizona passed away into eternal life with her family by her side on Friday, June 10, 2018. Christine was born in Grand Rapids, Michigan to Lyman and Joan Gates, of Cedar Springs, Michigan. She was preceded in death by her brother, Steve, and father, Lyman. She is survived by her mother, Joan, and brothers, Curt and Bryan, along with her husband of 18 years, Jay. There are also may aunts, uncles, nieces, nephews, in-laws and dear friends. Chrissy will be dearly missed by everyone she came in contact with, a loving and caring person who never complained about anything or anyone. She loved traveling with her husband Jay, as they were always seeking adventure in the USA and abroad with warmer climates in the winter months, and making many friends along the way. She was wonderful homemaker, cook, and gardener and truly loved to do all things with a positive attitude! A memorial gathering will be held at the Rockford Community Cabin on Sunday, August 19, from 12:30 – 3:30 p.m., 220 N. Monroe, Rockford, MI 49341.